Our builders rubbish removal in London is the best option for you no matter the scale of the project and the size of your property. You are renovating, repairing or doing construction works on your property? Don’t worry we can make your life much easier by getting it rid of the junk and builders leftovers which pile continuously. Workers need space to work, delivering new materials on a daily basis. Usually, they have lots of tools, and the lack of space could lead to delays of the completion date. Dust, mess and wastes all over the place waiting to be removed. Just call us, and we will send one of our teams for your property on the same day to get cleared and ready for more work. 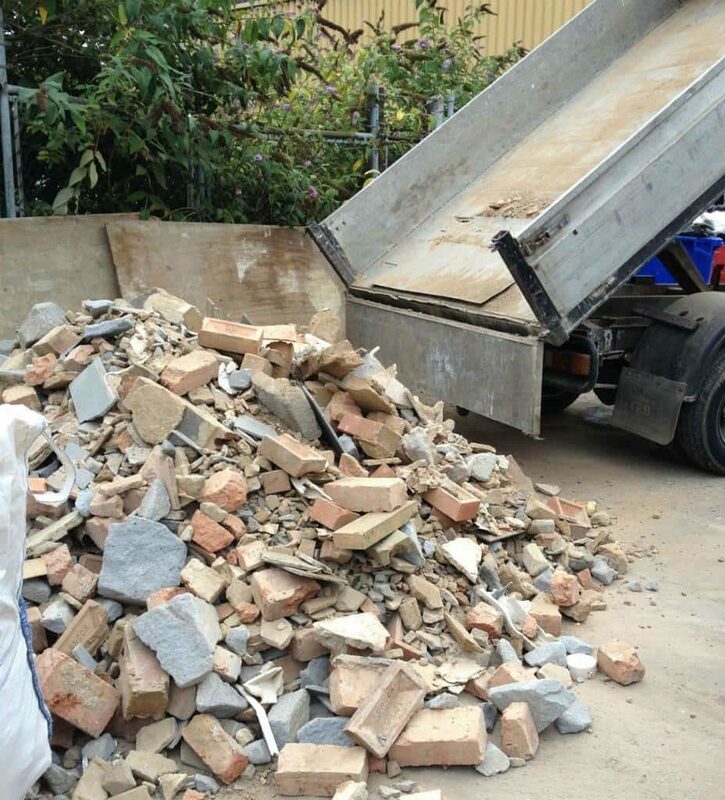 We can do the rubbish clearance services during and after the actual work of the builders you hire. Express offers peace of mind to all customers by providing public liability insurance that covers to 2 million pounds in cases of property damages which are not very likely to happen. If you choose Express Waste Removals to be your waste collection provider you save time, money and complications connected with hiring a skip and applying for permissions. We have the expertise and skills to deal with all kinds of renovation wastes from plaster, cement, paint, timber, glass, dust and more. The building clearance we provide in London is cheap, and the price of the service depends entirely on the volume of the junk removed. We won’t charge extra for Saturday or Sunday appointments. Our men will do the heavy lifting and transport of the leftovers after renovation, construction and repair work for you. We can recycle up to 100% of the building wastes, and you can be sure that we are a reliable and safe for the environment working company. The affordable private trash disposal which we offer ensures clean and properly maintained outdoor areas which will save you many problems. We have the workforce and expertise to provide the necessary junk clearance which you need during property extension, loft conversion, repair, renovation works and other similar such. In case you are a building contractor you can rely on our rubbish collection services which will ensure the desired space and the clean condition of the areas while you do the construction or refurbishment work. We have exclusive discounts and lower prices for regular customers. Our waste removal services are efficient and include clearance of all kinds of materials like timber, plasterboard, paint cans, rubble, glass, brick, plastic, metals, concrete, cement, wood, tiles, ceramics, soil. We can help you restore your property during and after all kinds of renovation, repair and building work. We are at your disposal during the whole week offering low-cost and professional clearance services for your home, office, commercial and other kinds of properties. For all your builders rubbish removal needs please do not hesitate to give us a call on 07773 88 99 88 or just fill our contact us form.